Surveillance Unlimited: How We've Become the Most Watched People on Earth by Keith Laidler. We had hoped to publish this review several weeks ago, but there has been so much else to report on recently, that the inevitable delays happened. This book covers topics which regular readers of Spy Blog over the years should be familiar with - mobile phone location system, dataveillance, electronic communications interception, communications data traffic analysis, RFID chips, web cookies, Automatic Number Plate Recognition, Identity Card databases, biometrics, CCTV surveillance and sousveillance, government data security and privacy incompetence, private sector aggregation of personal data for profit, etc etc..
We hope that some of our Spy Blog articles have helped the author to form his views and have acted as pointers for his research. The author Keith Laidler seems to agree with our view that although there are aspects of George Orwell's Nineteen Eighty Four, there is also now an uncaring bureaucratic machine which snoops on innocent people, and which inevitably makes lots of mistakes, with horrendous consequences for some innocent individuals, along the lines of Franz Kafka's nightmares in The Trial. William Heath, on the Ideal Government blog has called this fascination of the New Labour government in the UK (and other) politicians for technological magic fixes to social and political problems, supposedly for the greater good, "mechanised compassion"
The Keith Laidler also rightly points out the scare mongering which has been used to justify ever more surveillance and snooping, following the September 11th 2001 in the USA, and the July 2005 terrorist attacks in London. Aldous Huxley's Brave New World is also used as describe how our love of new high tech consumer lifestyle is making us ever more dependent on communications systems and on large scale databases, and ever more vulnerable to the abuse of powerful surveillance technologies..
As with any book or article or blog covering a wide range of technologies, some minor errors of detail have crept inn e.g. the Onstar GPS tracking system does not directly link back up to a satellite, and the range of a UHF high frequency RFID tag is more like 30 metres than 3 metres, but overall the level of technical accuracy is excellent. 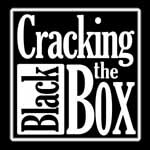 The chapter which gave us most concern was were the pages devoted to the possible involvement of the BBC in some sort of cover up regarding their reporting of the the World Trade Center Building number 7 fire and collapse. However, these are not "9/11 no planer / truther" conspiracy theories, but intelligent questions, which the author may well have had answered by the recent TV documentary on the subject, which came out after the publication of the book, where the missing BBC footage had been found (misfiled rather than destroyed). The book gives some examples of people fighting back against all of this unnecessary or potentially evil surveillance, but as with the writing of Spy Blog the book seeks to get people to ask the right questions, rather than to try to prescribe detailed political or technological solutions, to problems which have no easy answers. Each of the chapters has references to sources, many of which are world wide web URLs, and this helps to make the book essential reading for any student or policy maker who is researching our Surveillance Society in 2008. It takes its place on our bookshelves alongside the 1996 book Big Brother: Britain's web of surveillance and the new technological order (ISBN 0 330 34931 7) by Simon Davies, of Privacy International. We heartily recommend Surveillance Unlimited: How We've Become the Most Watched People on Earth to Spy Blog readers. Part 3: Do We Need It - Do We Want It? 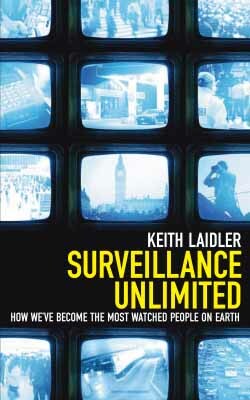 Continue reading Review: Surveillance Unlimited: how we've become the most watched people on earth - Keith Laidler.